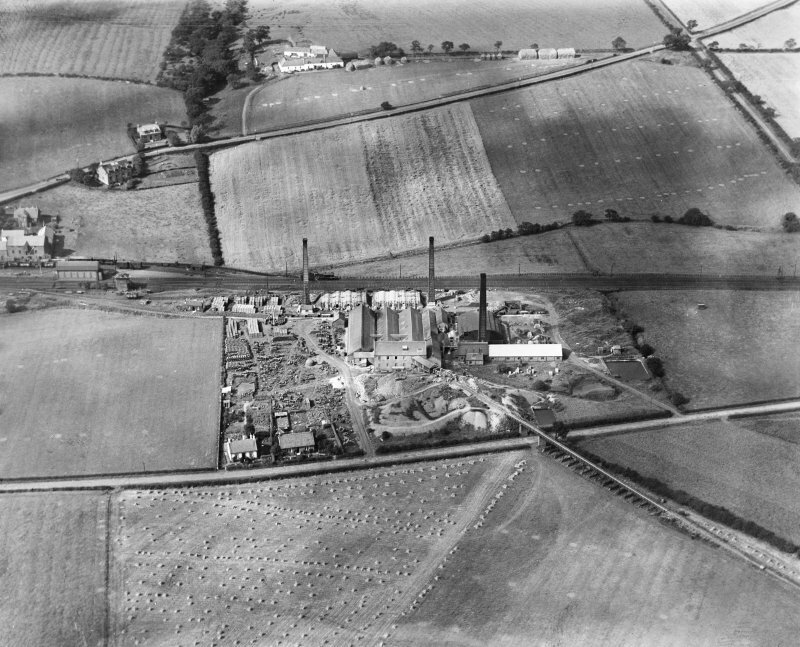 Glenboig Union Fireclay Co. Cumbernauld Fireclay Works, Cumbernauld, Dunbartonshire, Scotland, 1930. Oblique aerial photograph taken facing west. Description Glenboig Union Fireclay Co. Cumbernauld Fireclay Works, Cumbernauld, Dunbartonshire, Scotland, 1930. Oblique aerial photograph taken facing west.